The past week or two have had some rough nights. No sleep and being sick are not a good combo but I have finally decided to take pics for this post. Yawn. I wrote most of this last month so although some of my feelings or thoughts have changed I want to still post this because it was what I felt at the time. This month was very trying because I was being pushed at work with a ton of new responsibilities. we also went through some sleep training after weeks of the baby up multiple times a night. The past month I fought with myself about stopping breastfeeding. It began to really become difficult because I wasn’t sleeping and my supply started to drop after I was sick. I really hate pumping and if I was with him all the time I feel like it would be easier. I wouldn’t stress about getting enough for daycare and then adding extra sessions if I didn’t get my magic number. I did not stop though and I made it to my goal of 6 months! I have not decided when I will stop and I go back and forth all the time. I have been stressed to the max with my new role at work. I have a ton of projects, meetings and work and I have been feeling a little like I am a bad mom. I feel guilty I can’t be with him 24/7 and the other day when I picked him up from daycare I started to wonder does he still know I am his mom? It is heartbreaking thinking that. Lately I miss him so much during the day and I would give anything just to snuggle with him. I decided since it has been half a year (I don’t know where the time went) that I would do a comparison from the first month! I really see a lot of the weight loss in my face. My body has definitely changed and my old body at this weight was much different. I am very proud to see how far I have come. 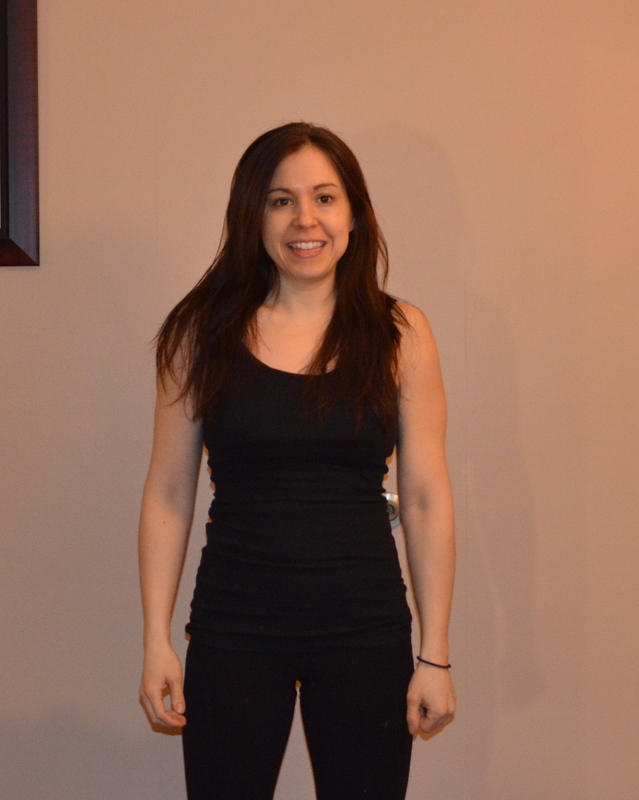 I am 6lbs below pre-pregnancy weight and my goal is to lose probably another 2-4lbs. At that point I am going to focus more on how clothes fit and building muscle rather than the number on the scale. Goals for month 7: The usual…start running and sign up for 5k. This has been on the backburner but now it is (somewhat) nice I can take the jogging stroller out for run! Of course about a few weeks late again but pics and stats are from 4 months! Another whirlwind of a month. In my mind, I keep thinking Coen is 3 months for some reason. This will be a short post because to be honest I have momma mind and I don’t even recall how I have felt this past month! I fell back into a funk after starting the year of with great motivation. I think I am over that hump again but it is hard to keep up the momentum. Working mom is tough and the is so little time to get everything I need to get done like writing posts. I do feel back to myself almost 100% though. Almost like I never even was pregnant! 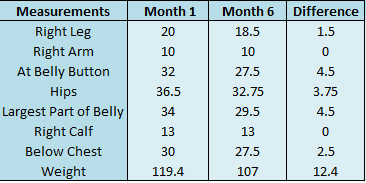 I am still happy with my weight loss each month. I lost 2.6lbs this month but saw some nice decreases in measurements! I think slow, steady weight loss is lasting weight loss so even if I am only losing half a pound I week I am happy! Pics don’t show a big difference each month but I bet if I compared them to the first month I would see big changes. I feel like my belly needs the most work. I am back to and a little below pre-pregnancy weight but there is still extra weight around the belly that hopefully will improve with time and exercise. Goals for month 4: My goals for this month are to start increasing weight when lifting and really push myself. I need to start adding in some steady state cardio aka jogging because we will be doing that 5k next month and I am not prepared! Of course about a few weeks late again but pics and stats are from 3 months! As I said in Coen’s post, this month flew faster than the last two. The holidays are always so busy and I kept dreading knowing I was back to work soon. The first day back was pretty awful. It was go go go. I felt defeated by the time I got home. Between the emotions of leaving the little one and trying to give it my all at work I was drained. Pretty sure there was a moment that I was ready to just give up and wanted to just walk out but I made it through. I will try and do a day in the life post of a working mom. It is so much harder than I expected. There really is no down time during the week. From the second I wake in the morning to when I go to bed I am non stop. The little me time I had before has decreased even more. I am alright with that but it just takes some adjusting. I really need to work on trying not to do everything. I have a hard time accepting help even from my husband. Apparently I am always trying to prove I can do everything myself and I don’t know why. I have also found that the past 2 years before getting pregnant I focused 90% of my energy towards getting pregnant and then while pregnant I focused all my energy into making sure I had a healthy baby and that we were prepared for him. I now feel that I can finally focus some of this energy on me now. I really want to focus on doing my best at work and really proving myself. 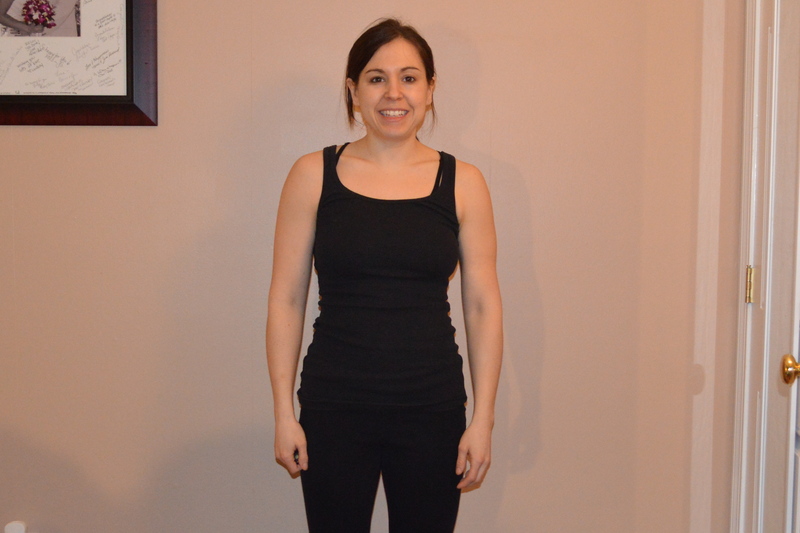 I was really frustrated with my body this month. I did not see any changes till about 3 weeks into the month. The scale was stuck and there were no changes in how things were fitting. I was recording what I was eating but it was hard to keep my calories in check during all the holidays. All of a sudden it was January and between the new year, stress of knowing I will be going back to work and really watching what I was eating the scale started moving. 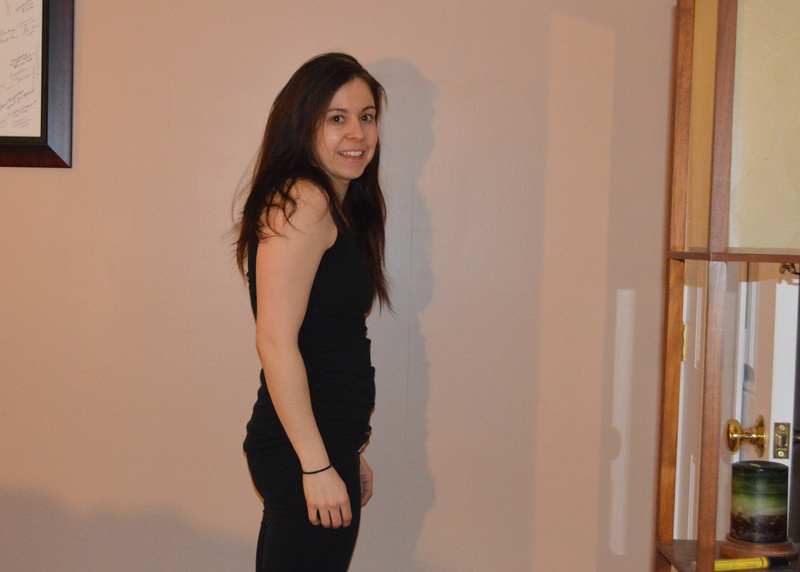 I dropped almost 3 pounds this month and only a 2lbs away from pre-pregnancy weight! It feels so good to finally start seeing changes again. My belly is still squishy and hips are much wider but I feel like the rest of me is back to normal. To be honest, I am not sure my stomach or hips will ever go back to what they were but that is alright with me. I still feel like with more fat loss I can achieve that flat stomach once again. Much to my surprise I have found that my cardio is actually way better than what it used to be. I have much more endurance and I think it is because I was in such great shape carrying around that extra weight when pregnant. I haven’t been running but will need to start because my husband and I are set out to run a 5k come March. A little St. Patty’s day run which will end at the bar for a victory drink. This will be our first 5k and I have to admit I am not much of a runner. Being only 5’1 I have little legs and definitely not a runner’s body. I am slow and awkward but that is just fine as long as I finish it. I took these after a workout so don’t mind the fact that I’m a sweaty mess. 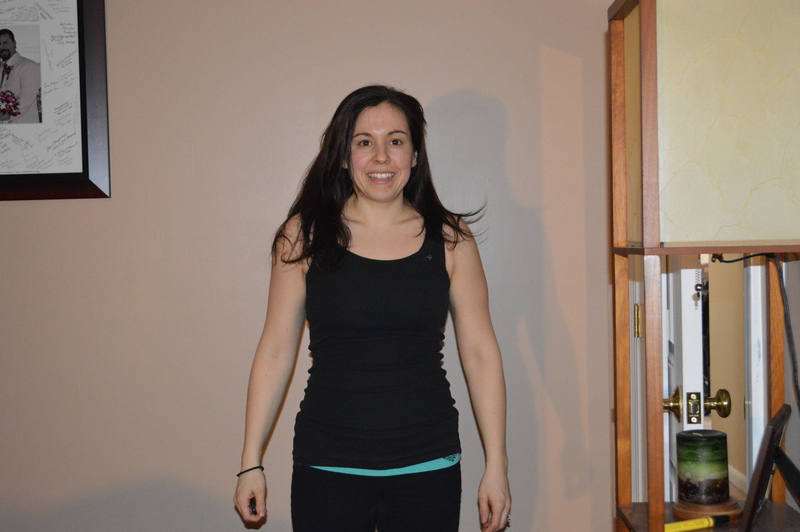 The angle of the camera is a little different but my stomach has definitely become a little flatter this past month. I also feel like my arms are just beginning to get some definition. Goals for month 4: I managed to actually meet all of last months goals so that means I owe myself something special. I am thinking a pullup bar or a new jump rope because the one at the gym is awful. This months goals are to keep up the cardio, start doing some running, eat more veggies and eat when hungry not when bored. I also want to start lifting heavier. 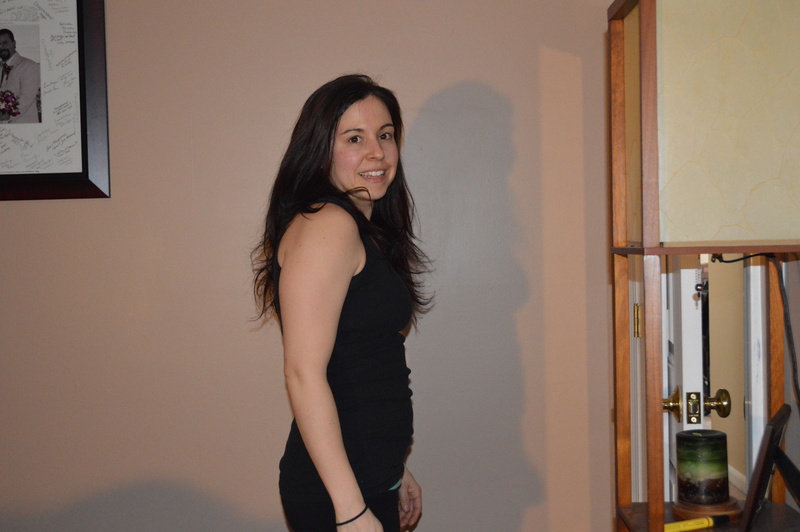 I toned it down a bit when I first started lifting after the baby from what I usually did just to ease into it. I want to start setting some personal records for myself like pushups, pullups (can hardly do one anymore), how much I can squat, run, etc. 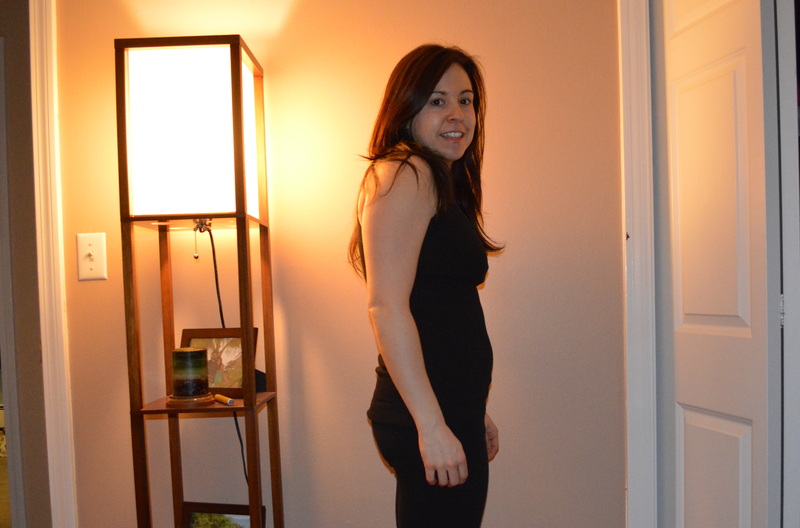 I have been busy with the little guy so this post is a little late but the pictures and stats are from one month postpartum! After dealing with infertility, going through IVF treatments and having a history of depression, my counselor wanted me to be aware that I have a good chance of getting PPD. I am definitely not out of the water as it has been only a month but I feel really good. PPD can show up anytime within the first year after baby from what I am told. I didn’t get the baby blues and have yet to have a breakdown and even cry since Coen has arrived. Like I said this has YET to happen! This first month I have been in a euphoria. I just look at our little miracle and can’t help but smile. Of course it is not all easy and I have good days and bad days. The days I get less sleep I do feel a little down and off but that’s how it has always been for me. There are a few things that I have learned in the past that really keep me balanced…sleep, eating well and working out. When I am doing enough of all three of these I have a sense of contentment. Well since I hadn’t been able to work out because of the C-section and sleeping isn’t always a given I have at least been eating healthy. I really think this has helped a lot. I am still eating clean (most of the time) every 2-3 hours for about 5-6 meals a day. Since I am breastfeeding I find myself eating a ton. I think I am eating more now then when I was pregnant. I had a very active pregnancy which I will post about later. I took the first trimester off from anything other than walking. I gained very quickly in the beginning but it seemed to slow down at about 6 months. Before that every calculator I used and every time I would look online at other woman’s weight gain I had gained too much. 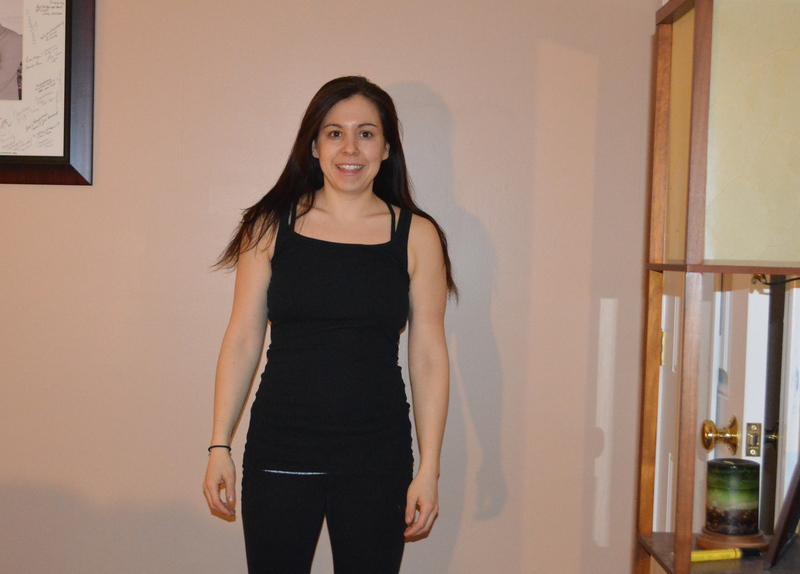 It was discouraging but I knew that my body was doing what it needed. I would recommend staying away from the scale, calculators and just listen to your body. 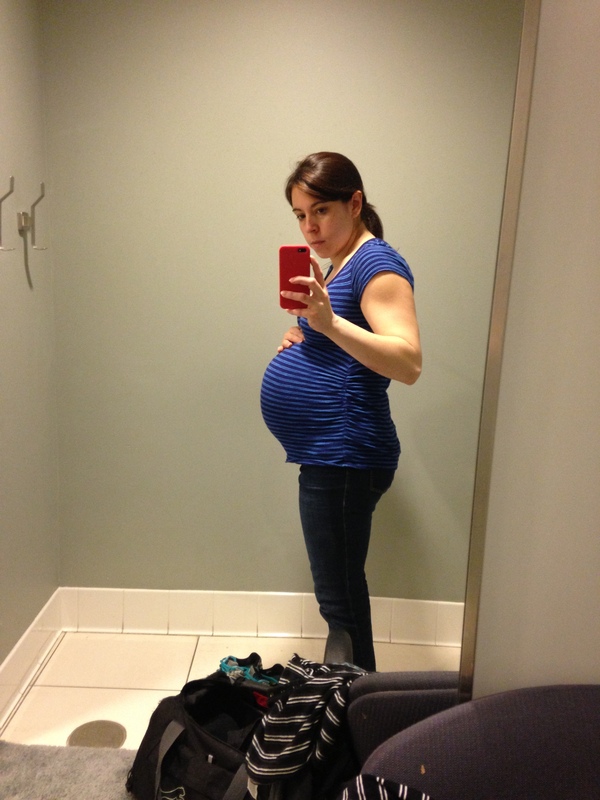 Pregnancy changed my view on my body image. I realized how hard I had been on myself and how truly amazing the body is! 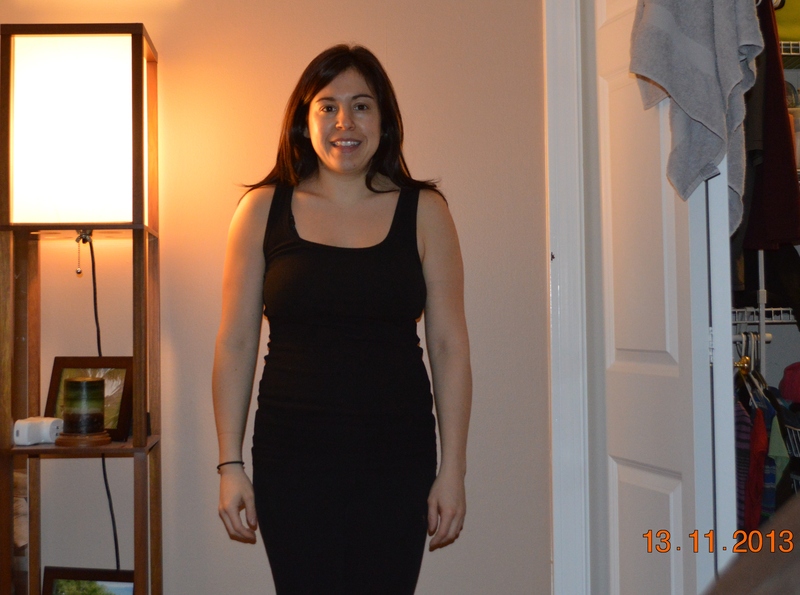 I ended up gaining a total of 26lbs which is right at the low end of normal weight gain.. 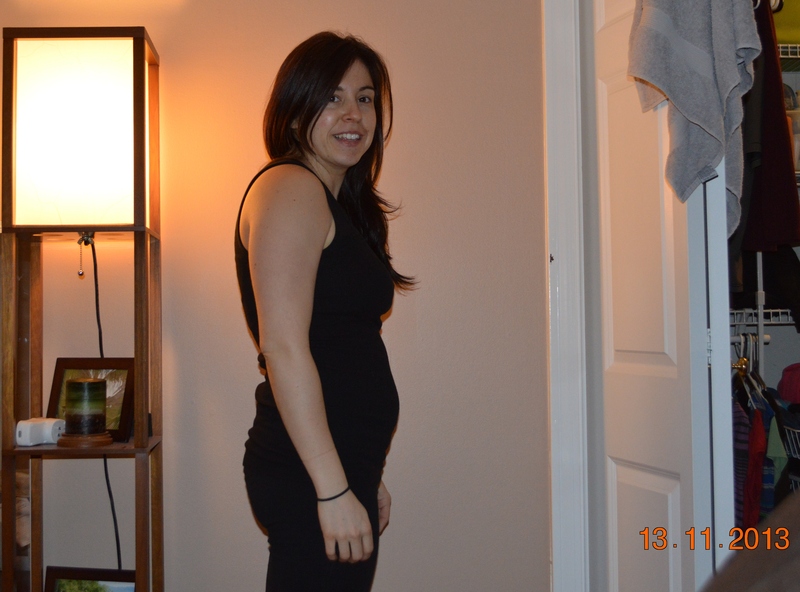 But don’t forget I was up about 7-10 lbs from all the IVF meds and stress when I got pregnant. 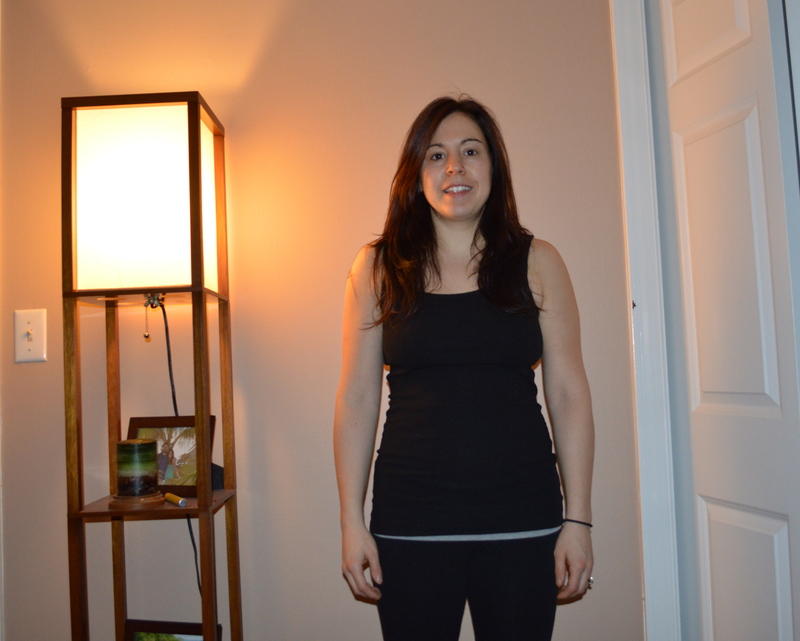 One Month after Baby…..some very less than flattering pictures but they will help with accountability and motivation! 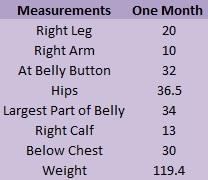 At one month postpartum I have lost all but 7lbs to get back to my pre-pregnancy weight and I probably have another 7 to get to my pre-IVF weight. Although, the number on the scale is really not as important as how I feel and how my clothes fit! I can button my pre-pregnancy jeans but I am just about busting out of them. 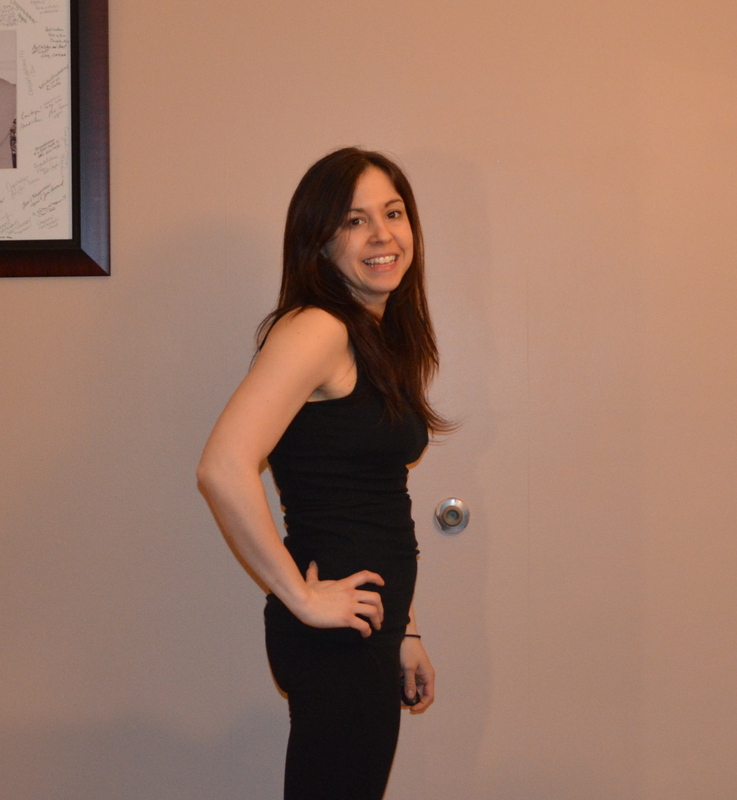 I wear yoga pants everyday because of the C-section incision and I don’t want to buy new jeans for just a few months! My game plan to get into shape? Not really quite sure yet. I need to find something that works for me. It will most likely include some cardio and mostly lifting at home and at the gym. 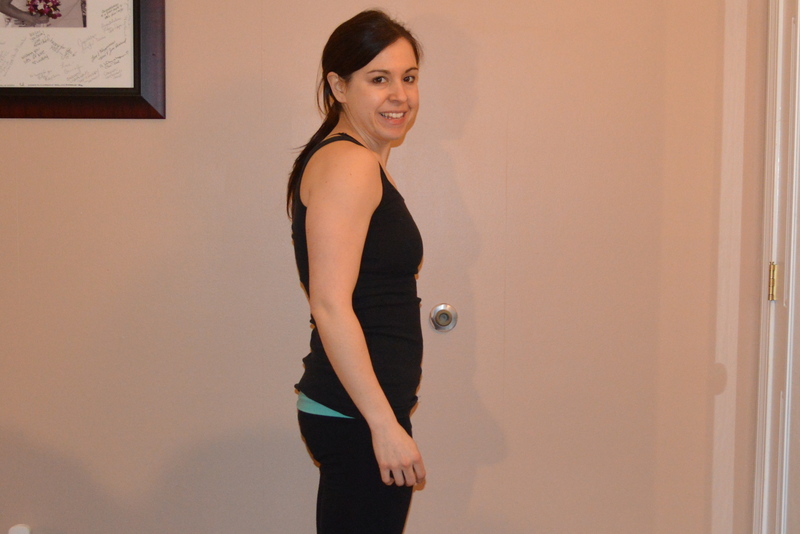 It will be all about how to squeeze in a workout while the baby sleeps. Ever see a scale fly? I am very boring for breakfast and lunch during the work week. 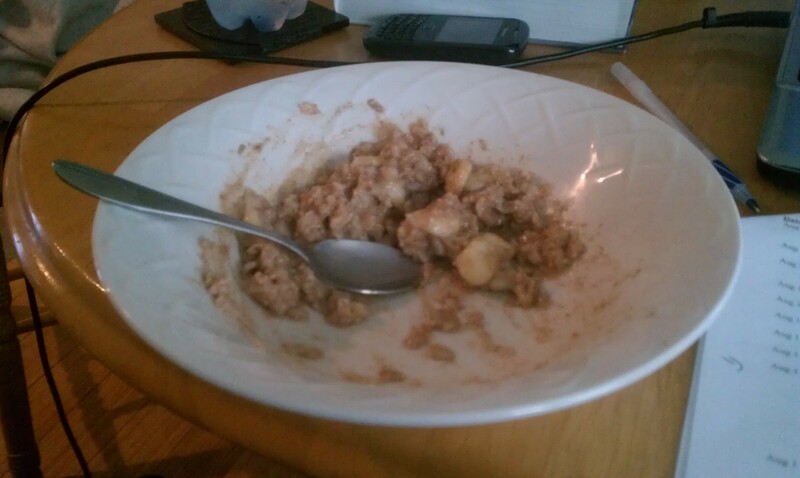 It usually consists of oatmeal of some type. Today was with cinnamon, a bit of vanilla extract and banana.